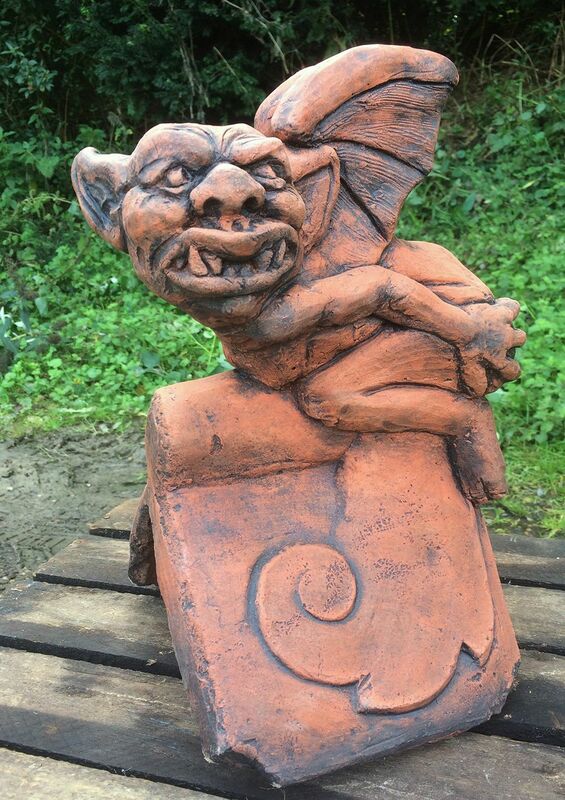 A lovely decorative feature for your house, porch, garage or even the garden shed. 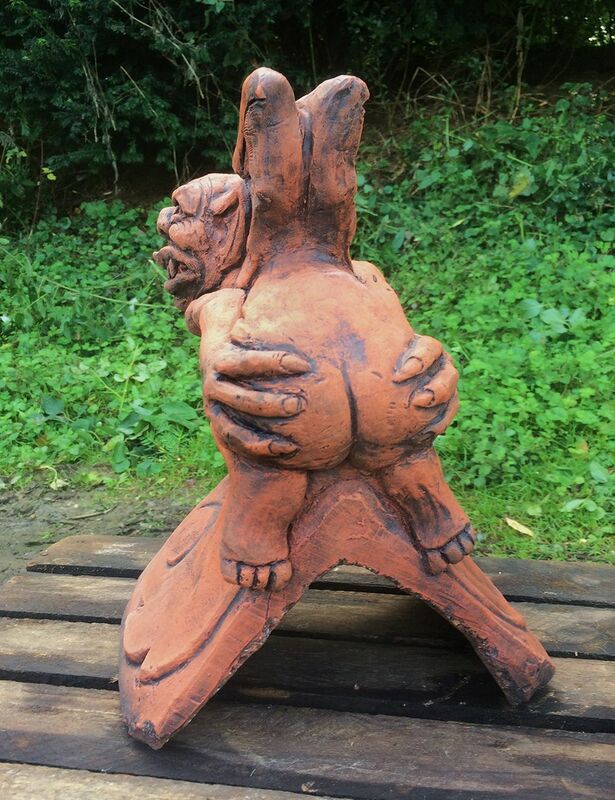 Also available on a half round ridge tile. 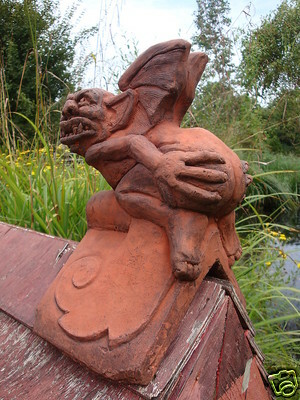 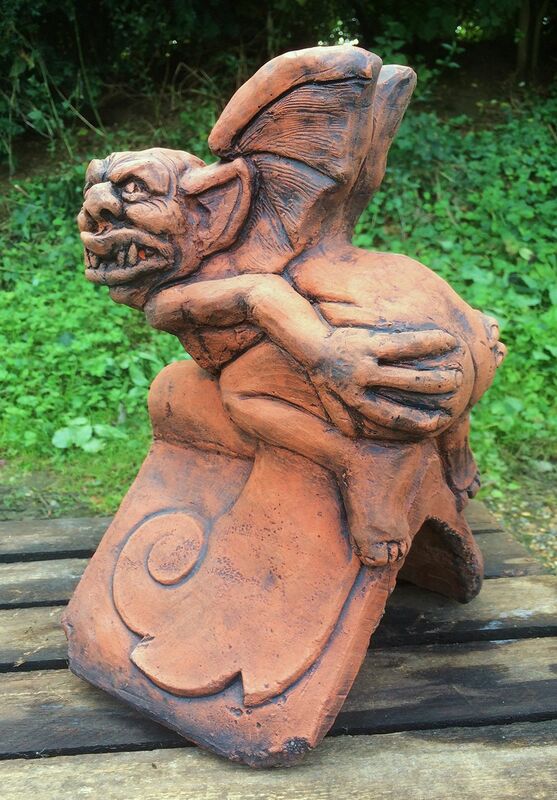 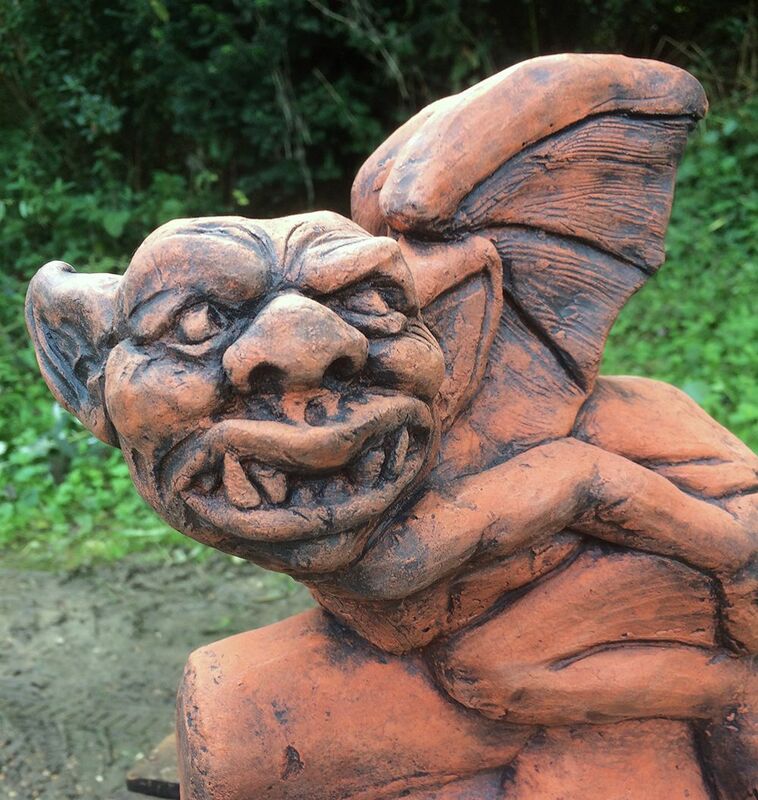 Gargoyle Roof finial angled ridge tile "Radcliffe"